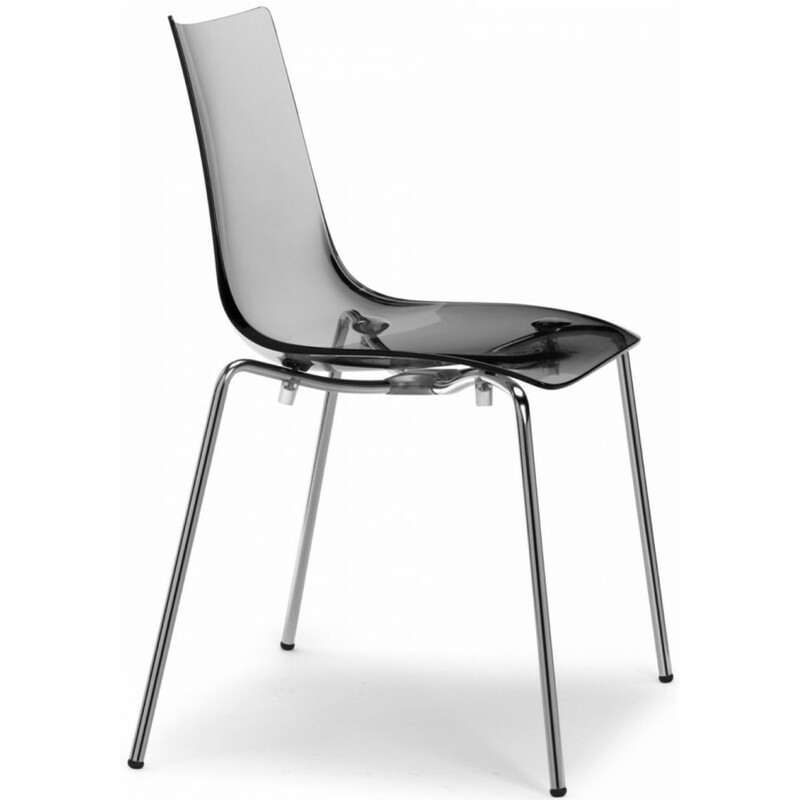 Stackable chair with structure in chromed steel or white, colored polycarbonate shell. Zebra antishock chair with 4 legs has the structure in chromed or white lacquered tubular steel. The shell is made of polycarbonate in different colors. Versatile beautiful and convenient product for home use, fine, good and characteristic also for public locations such as bars, restaurants and hotels. Stackable and for internal use. Possibility of having Zebra antishock chair with a fixed pillow applied to the seat in various fabrics or leather with extra charge.